I love engaging my students in all aspects of reading, writing and phonics with fall literacy activities. 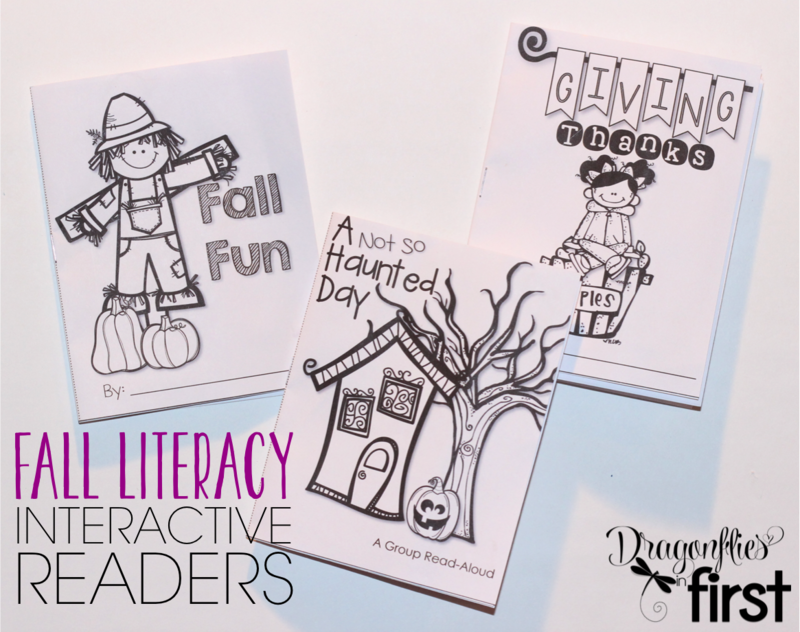 Here are several literacy activities I use throughout the fall season. They really get into writing when adorable, fun crafts and creativity are involved. I introduce the kiddos to creative, narrative writing in the fall. I LOVE their imaginative spirit during the month of October as they excitedly anticipate dressing up for Halloween. In our school, the kiddos dress up for what we call “Literacy Day”. They dress up like a character they have found in a book. This not only brings a little more “depth” to dressing up but it also allows for those who don’t recognize Halloween to participate in dressing up and joining our whole school parade. Although we spend most of the month of October discussing habitats, I incorporate a lot of all things fall into our literacy activities. We use Engaging Writing in class. 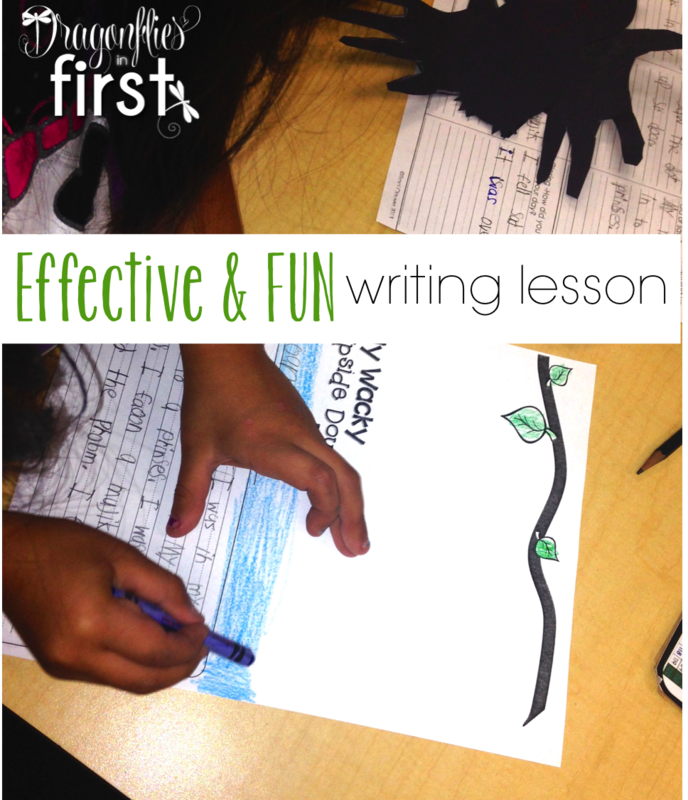 My kiddos are very familiar with this easy to manage and incorporate style of writing lessons. The writing lesson I do for the week of Halloween is no different. 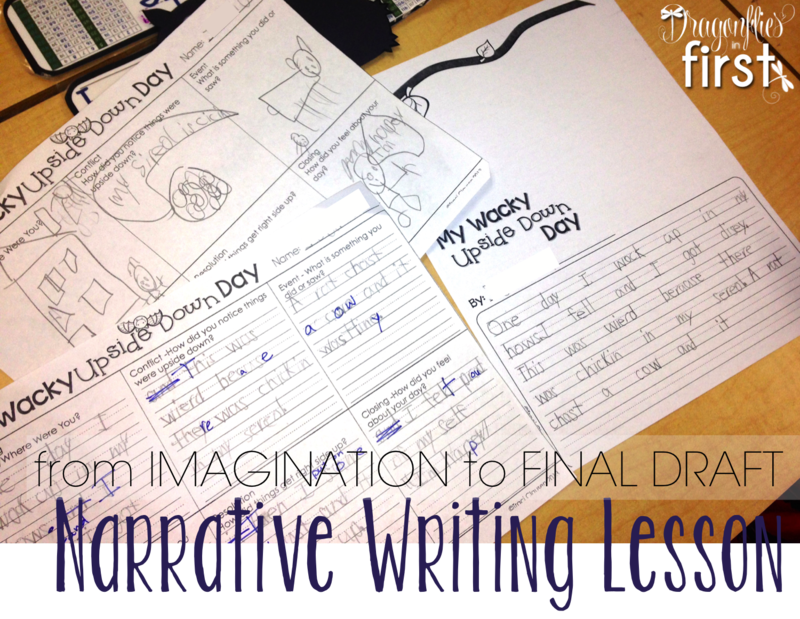 I start narrative writing lessons with a read-aloud or two; something to fun and wacky inspire their imaginations. Then we work together through a quick-draw process. After that we turn those illustrations into complete thoughts and sentences with detail. I’ve mentioned before that I do not believe in the necessity of lengthy difficult writing lessons nor using complex graphic organizers. Keeping writing lessons simple yet effective helps ensure that each subsequent lesson results in improved learning and concept mastery. I love when final drafts allow the kids to express their creativity and celebrate their hard work. This culminating bat craft activity is always something the kids look forward to doing so they work hard during the writing process to reach this fun end. Googly Eyes go a LONG way in making a craft a HUGE hit! The kiddos use cut outs of tracings of their own hands to make the wings for these cute bats. 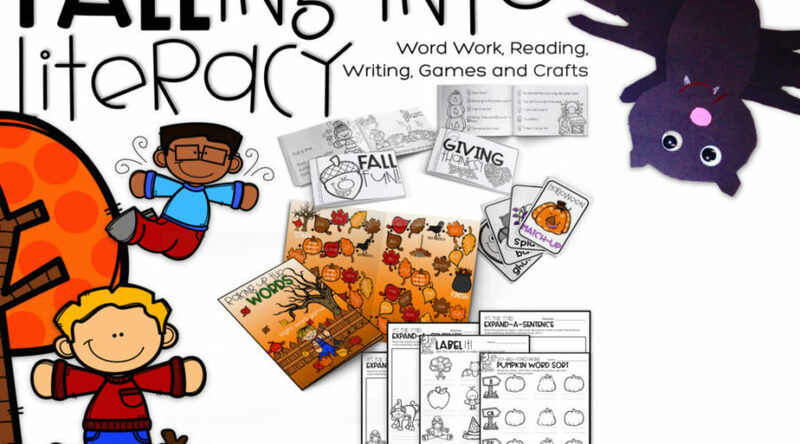 Falling into Literacy contains the complete writing lesson, writing plan and craft templates. Giving kiddos simple sentences to expand upon is a great way to build complex sentence writing skills. This is easy to do with a piece of paper (or journal) and a simple sentence on the board. Write a basic sentence on the board and task your students with adding descriptive adjectives, adverbs and prepositions to the sentence. The cat meowed. – can quickly become – The fat black and orange cat meowed loudly throughout the night. Encouraging them to create an illustration for the sentence also assists in coming up with descriptive language resulting in a more engaging sentence. 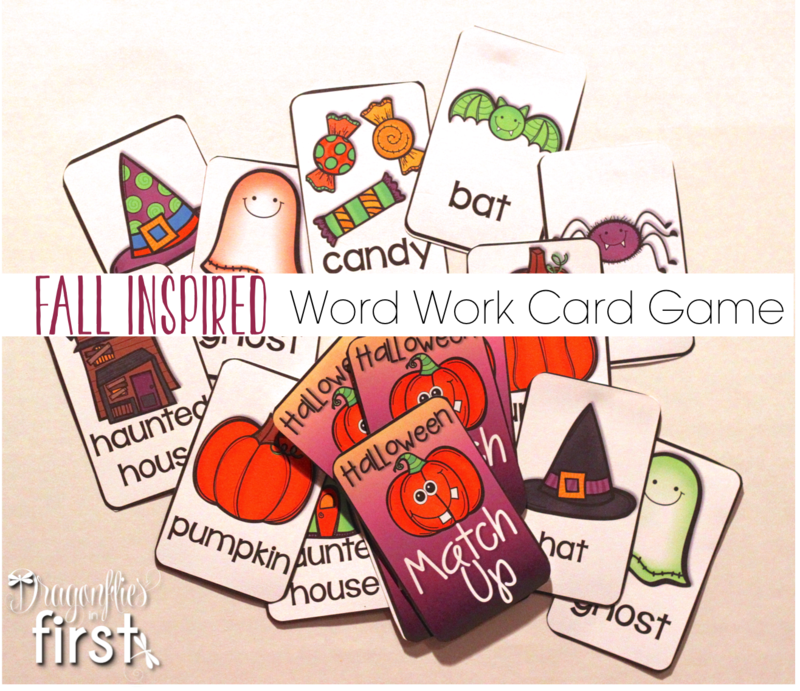 Throughout October and November, our word work area is filled with fun fall themed games. They play this card games a couple of ways. Some like to use it like a simple concentration game – where they lay out all the cards then flip over two at a time in an attempt to find matches. They also play the game by holding a few cards in their hands and drawing a card from another player’s hand in hopes of making a match – like Old Maid. Either way – it’s a lot of fun. The more they work with these words, the easier it will become to read them in texts later or write them in works they create. The kiddos love sight word board games. They keep them busy for quite a while. I like using games where I can change the words as I wish. 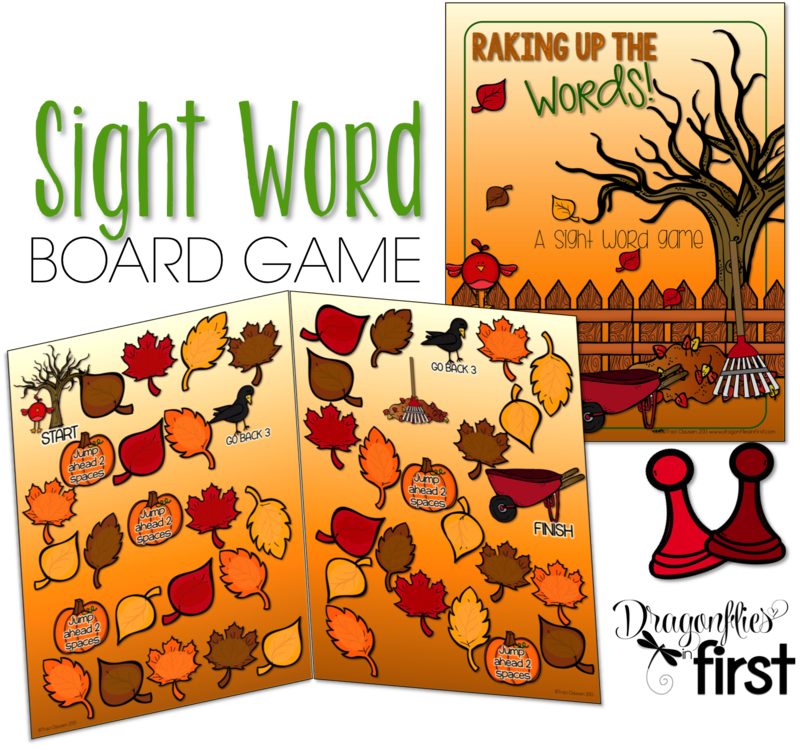 This one from the Falling Into Literacy resource includes a game board with pre-programmed words as well as a blank one so that students are able to practice words specific to the learning in their classrooms. I use readers a lot in class. We use them to highlight phonic rules we are working on, develop decoding skills and increase fluency. I also put extra copies in our word work area for students to read with a partner during their word work time. 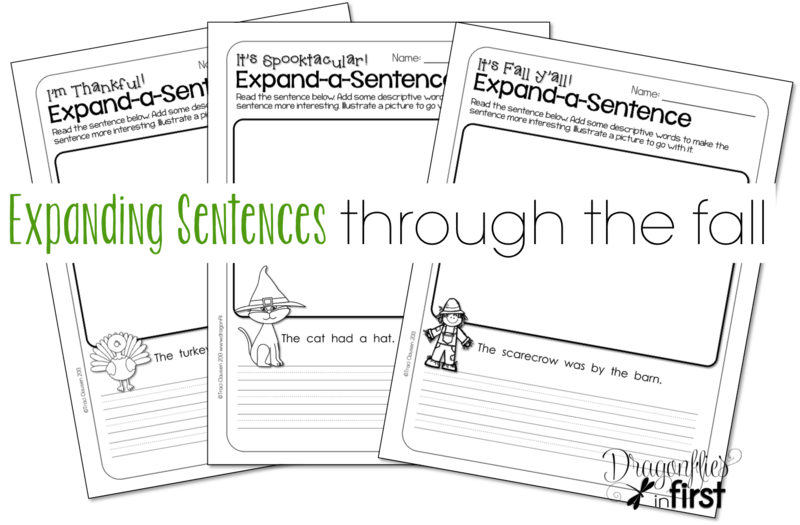 These cloze sentence activities – where students fill in the blanks – are perfect for beginning readers. 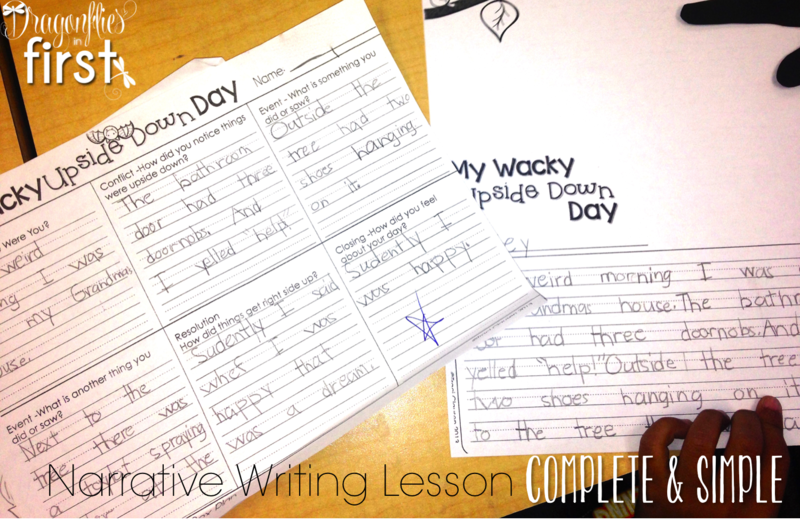 They include a word bank and just enough sentence format diversity to push their learning and build confidence! Taking interactive readers a step further by asking students to fill in the blank AND illustrate the sentences helps build comprehension skills. Giving thanks provides that opportunity, too. Often we read and re-read text to improve fluency, comprehension, and reading strategies. Re-reading text can get receptive. To keep things interesting I assign individual or groups students parts to read – encouraging dramatic reading and voice inflection. This reader has different icons denoting the parts of different characters. 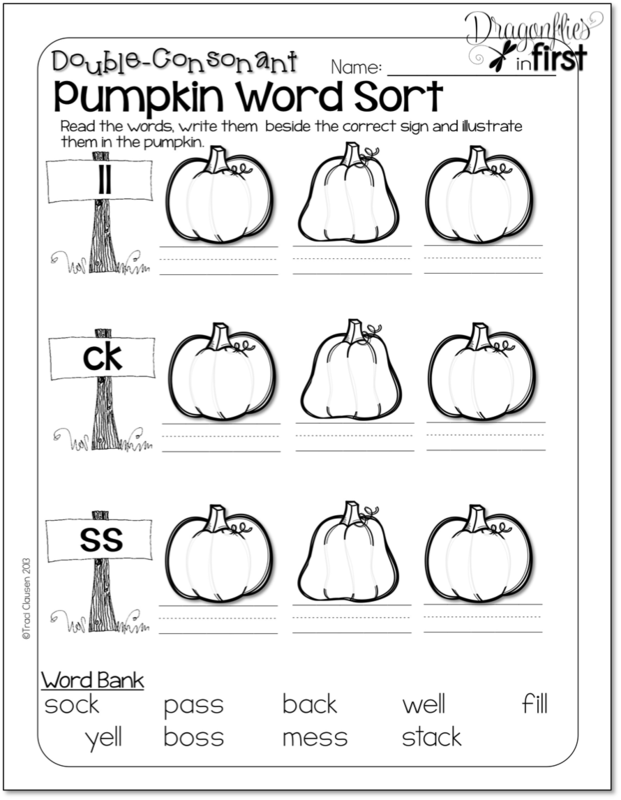 These fun little fall-themed independent worksheets are a perfect task to keep them busy while meeting with other students in reading groups. Addressing literacy from every angle is essential to helping students achieve language arts mastery. I love how these components provide practice and instruction in so many ways. All of these items are in the Falling Into Literacy resource and are perfect for the October-November months. Check them out in my store. Well that was A LOT! Thanks for hanging in and check it all out! I have a FREEBIE Homework Pass for you! Click the image below to download them! 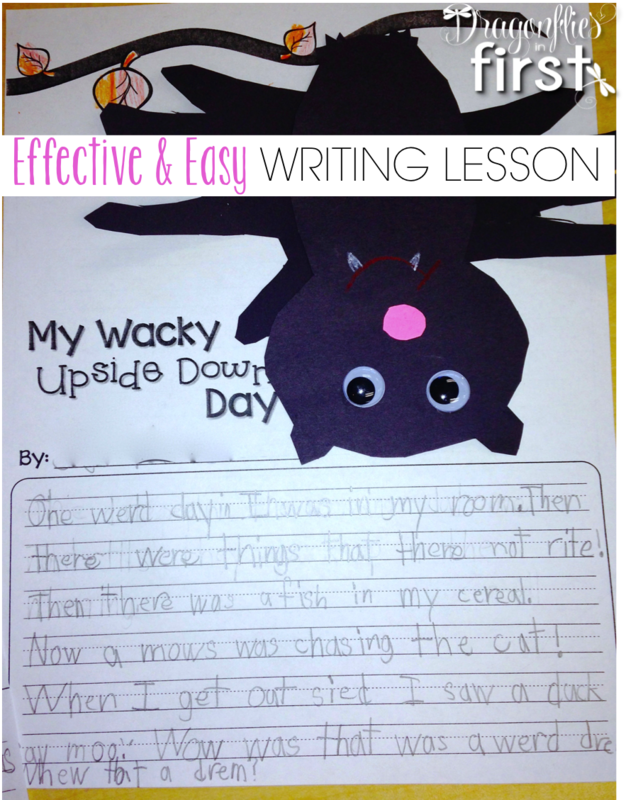 Your wacky upside down writing looks really fun. Bet the kids LOVE that!